With Spring is almost upon us, here’s the latest news from the Vincent Price Legacy UK. Inspired by the 90th anniversary of Vincent’s Seven Capital Tour of the Art Capitals of Europe, Victoria Price and myself invite you to join us on a cultural tour of two of the cities that Vincent visited in 1928: Amsterdam & Vienna. We’ve planned an exciting cultural itinerary, which will be attractive to both travellers who have never been to Europe before, as well as for seasoned visitors. Our new company ESC TOURS creates unique itineraries that include both travel highlights as well as unique cultural experiences that allow travellers to get beneath the tourist experience and develop a deeper connection with each country. This two-city tour includes museums and castles, World Heritage sites, exploring parks and neighbourhoods, food adventures, musical entertainment — and much more!! For those of you who have travelled with us before and consider yourselves the more adventurous type, we are also offering an Off the Beaten Track: Austria & Germany trip from 30 September 30 – 9 October. We will only have a limited number of seats for this trip, and first priority goes to previous ESC travellers. If you are interested in this trip – or both trips – please let us know vie email as soon as possible. 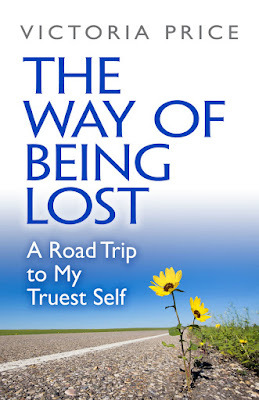 Victora is currently on the road promoting her inspirational memoir The Way of Being Lost: A Road Trip to My Truest Self, which is available in the US from Amazon, Barnes & Noble, and Indiebound. I am working with the publisher on bringing Victoria back to the UK for a book tour, where all of the Price Family Legacy titles will be getting their first-ever UK print run in November. These will include Vincent’s visual memoir, I Like What I Know, his tribute to his canine pal The Book of Joe, and all of his cookbooks, including Cooking Price Wise. I am ooking for suitable venues to host Victoria. Well that’s all for now folks – hope you are enjoying the snow.